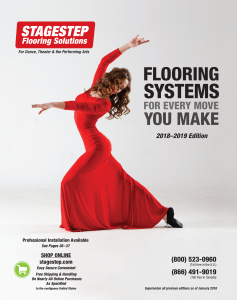 Dancestep Plus are cushioned-back flooring designed to be installed directly on a concrete slab. Great for all styles of dance, except tap. Dancestep Plus has a dual layer cushion base for double the energy absorption. 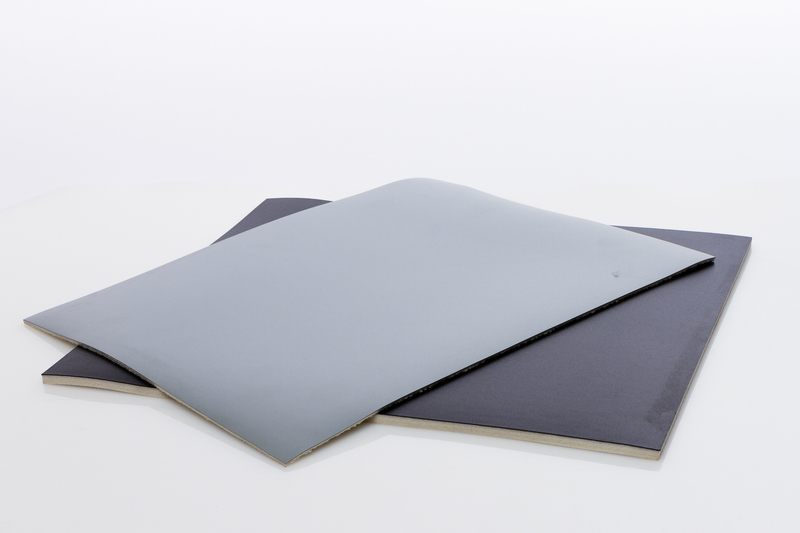 Dancestep Plus has a dual layer cushion base for double the energy absorption. Use Quietstep with a floating wood subfloor or on stage. Excellent for jazz, modern, ballet, theatrical and martial arts. These floors are not recommended for tap. 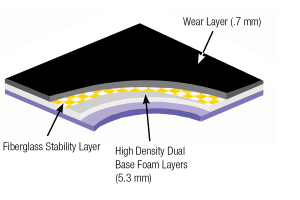 Product can be installed directly on concrete, a stage or hardwood surface—temporarily, semi-permanently, or permanently—using top tape,, Double-Faced Tape, 4″ Installation Tape, adhesive, or ReUseIt 2.0.